It was arguably a strange preparation throwing Thinkin’ Big into the Gloaming after eight weeks off, but obviously the Tulloch Lodge team knew he’d done the work at home to be right. That, combined with his natural staying prowess, was plenty enough to see the son of High Chaparral win and confirm his Spring prospects. He now goes into the Spring Champion as a clear favourite, and quite honestly I thought he’d be shorter than this, even though there’s a few other talented types up against him. He spanked his rivals in the Gloaming and I think it’s fair to assume he’ll only be fitter for that run. Although I’m a big fan of a few that weren’t up against him there, namely Dealmaker, Purple Sector, Mickey Blue Eyes and the filly Frankely Awesome, I just can’t see any of them running him down. He’ll lead, he’ll dictate, and he will clearly stay. 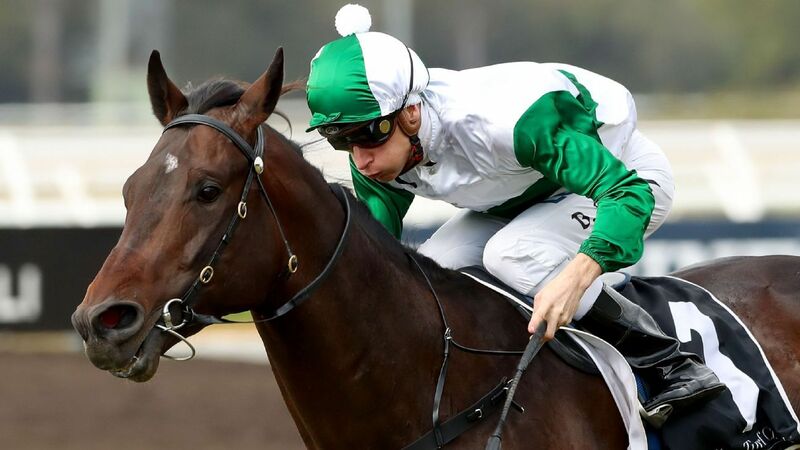 Gai Waterhouse recently compared him to one of my all-time favourite three-year-olds, Nothin’ Leica Dane. He was Gai’s Spring star of 1995, who won this on his way to winning the Victoria Derby and running the most gallant of thirds in the Melbourne Cup behind Doriemus. If Thinkin’ Big is being held in the same regard as him, then watch out over the next few weeks! Magic Alibi is a good, listed-quality mare at her best, and she looks to have found herself in a really suitable race to grab a win against the boys on Saturday at Headquarters. She was great first up in the Sheraco at big odds, then took on the top shelf mares again in the Golden Pendant. Unfortunately she was a bit slowly away and got well back in what ended up being a race dominated by those on speed, but I thought she worked home nicely enough. There looks to be very little speed in this race, and, as long as Magic Alibi gets away cleanly, I expect Regan Bayliss to try and get across from that wide gate and look to lead and dictate proceedings. She’s also a mare that can handle the wet to some extent, so I envisage this race setting up nicely for her, and think she’ll be very hard to run down if she gets left alone. This son of Frankel has to be one of the biggest horses in training, he is one hulking beast. I think he’s looking for two things to really begin to show his best this time in; a trip, and a big track. He gets both on Saturday in the UCI Stakes. Tony McEvoy clearly believes Farooq is a Derby type. Ever since his first-up victory, where he was classy enough to win over 1250m at Morphettville in impressive fashion, he’s given the impression that he is a galloper that will thrive as the distances get longer. He’s on the quick back-up here after running eighth in that bunched finish of the Bill Stutt Stakes last Friday night at Moonee Valley, where he never had the room he required to hit top gear. I can see Luke Currie planting him in a midfield trailing position here and definitely wanting to get him into the clear nice and early and allow Farooq the chance to wind up and stretch out. If he gets that chance then he can win and put himself squarely into the Derby mix. Thought this filly did a stellar job last Friday night in a leader dominated Champagne Stakes, getting well back, held up for a short timer, and hitting the line with gusto after they straightened, in a night where it wasn’t easy to swoop. Tony McEvoy has put her on the quick back up and steps here immediately up to a mile from the six furlongs of that, and she looks to me like a filly that’s going to enjoy that move. She just draws a little awkwardly, so hopefully Luke Currie can find her some cover early on, I’m not convinced there’s a heap of speed engaged, so he may even look to push forward before attempting to slot in – she’s definitely an above average filly and I really hope we get the chance to see that here.